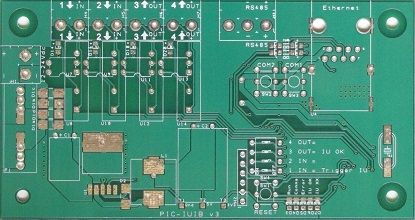 PCB fabrication costing depends very much on the production quantity. 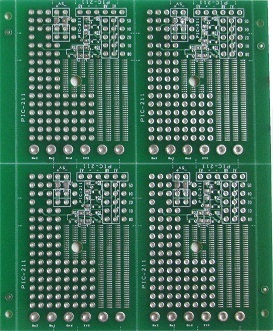 There are fixed standard work involve in producing PCB board. The cost of producing 1 board and producing 2 boards hardly make too much significant. The cost of each PCB board diminishes as more boards are fabricated. If the quantity is high enough (>5000 pcs), your fixed cost usually becomes insignificant. If you only need one or two pieces of the circuit board for prototype testing purpose and the electronic design allows it, consider manual assembly onto a prototyping board. It may take more time and effort to assemble, but compare to PCB fabrication, it may save you cost on PCB design and PCB fabrication cost if you are not very certain if your electronic design will work. The cost of PCB fabrication depends on the PCB specification that you required for your electronic circuit design. Our PCB specification recommendation is FR-4 material for typical industrial/commercial electronic product. It is cost effective and durable for most of the application. This is only a general price guide (budgetary quotes) for a customer who would like to have some idea of what the costing will be like. Please contact your PCB fabrication factory for the actual cost of the production. 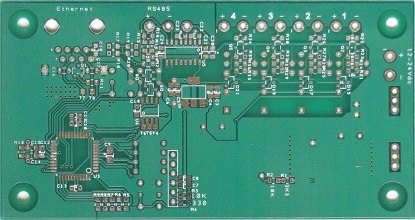 Click here for further details on the other PCB specification. *** Check out our new special discounted price for our PCB fabrication service. 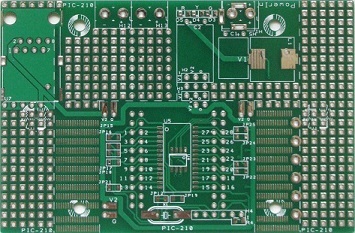 The per piece PCB price of a 4 layer board is about double the 2 layer board. Other change in the specification will also affect the PCB fabrication costing. If you do not have the design file ready for PCB fabrication, check out our PCB design service or the PCB design cost guide. For other costings information, you can refer to our product and manufacturing costing guide. on our PCB Fabrication Service.